Add to carefully crafted interiors with fire safety equipment that enhances surroundings and is ideal for customer-facing spaces. 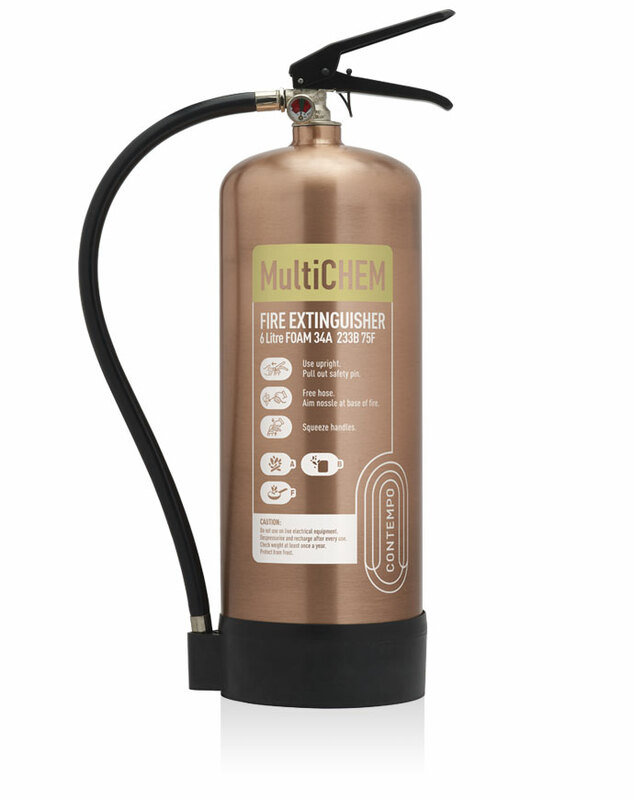 This beautifully unique extinguisher will uplift any area. 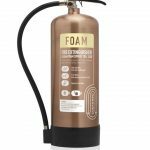 In stunning Antique Copper, this six-litre foam unit is an ideal solution for premises that may be at risk from Class A (combustible materials) and B (flammable liquids) fires. It has a 13A 113B fire rating. 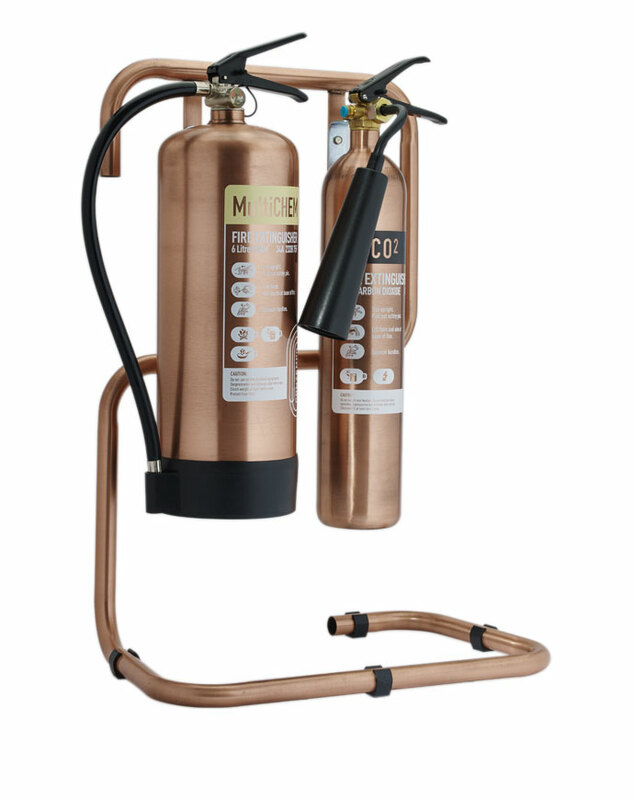 With matching brushed antique copper tubular stands and ID signs, this range provides the utmost in elegant fire defence. The Contempo range offers an industry first. These unique extinguishers combine fire safety with the most exquisite hand finish and are available in silver, gold and copper colourways. Mandatory fire equipment can now complement the very finest interior design and even prove to be a feature. 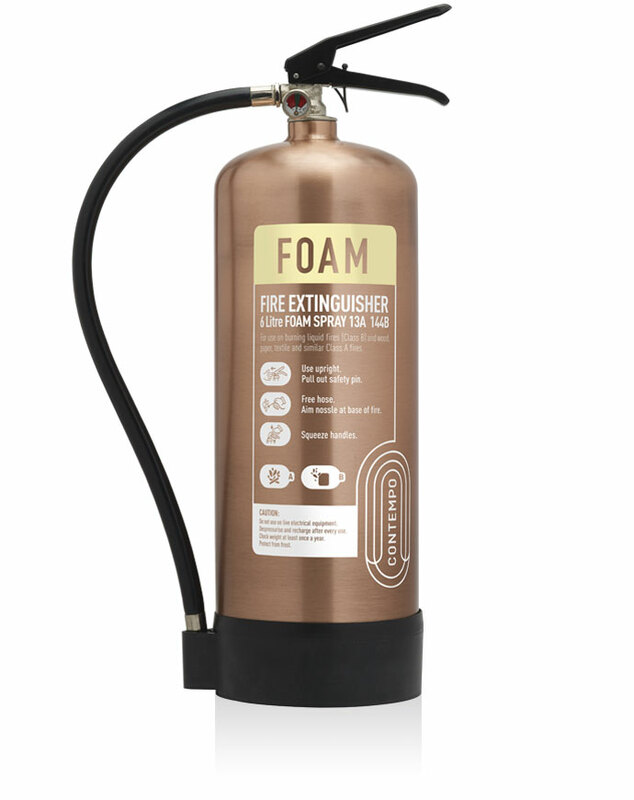 Perfect for modern bars and restaurants, luxury hotels and contemporary offices, opt for fire safety equipment you’re proud to display.